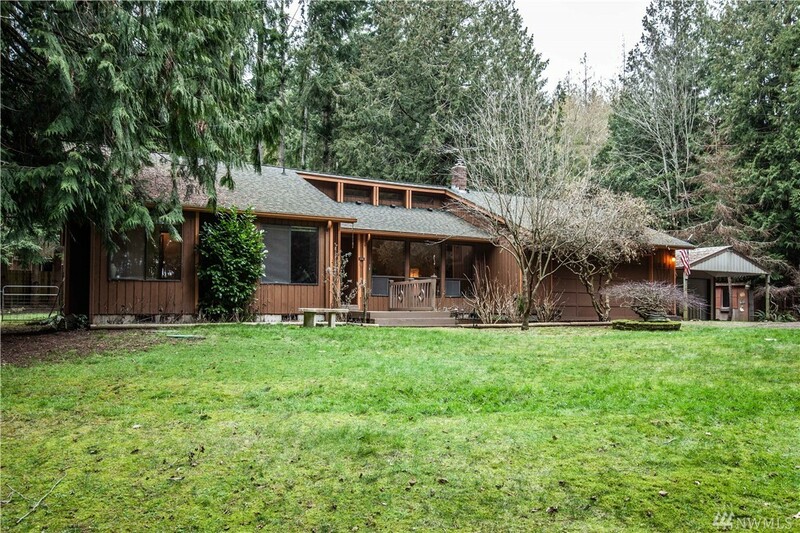 1-level 3 bdrm Rambler on approx 1.9 acres in Clinton on lovely Whidbey Island. Extra-large kitchen with double oven and propane cooktop. Living room w/freestanding propane fire. Fenced-in garden, 2-car garage w/ample storage, house wired for generator, separate workshop bldg w/power & heat, chicken coop, mature garden plantings including curly Filbert tree, exquisite Japanese Maple, & impressive Bay Leaf tree. All situated in a private setting minutes from Possession Beach & Boat launch.